Sign up for Broadjam today to follow Kafalai, and be notified when they upload new stuff or update their news! A collection of Kafalai's favorite songs that moved & saved his life, remixed with that classic Kafalai soul sound. DOWNSOUTH AND DIRTY WIT THIS STREET SAVVY ALBUM! STILL PACKED WITH MESSAGES AND HARD KNOCKIN BOTTOM OF THE MAP BEATS!!! A MIXTURE OF R&B, ROCK & ROLL, & SOUTHERN SOUL, MIXED WITH THAT 2007 HIPROCK SOUND! MIC SWIFT - THE LIFE I CHOOSE!! 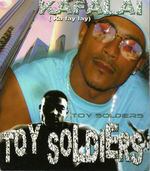 PROPHECY ENTERTAINMENT INC. PRESENTS SOUTHSIDE JAMAICA, QUEENS, MIC SWIFT! 6 SONGS FROM HIS UPCOMING LP "THE LIFE I CHOOSE"
REX'S NEW LP B.O.L.O.! HIS FIRST ALBUM AFTER 10 YEARS OF PRAYER & THOUGHT! COMING SOON! 3RD SON - B.C.M.W. BROWARD COUNTY'S MOST WANTED! DOWN SOUTH AND GRIMY 3RD SON DOES IT AGAIN WITH HIS NEW LP B.C.M.W. COMING SOON! 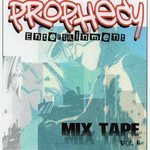 A COLLECTION OF THE PROPHECY ENTERTAINMENT SINGLES THAT WERE FEATURED ON THE EASTCOAST RYDERS DVD VOL. 'S 2, 3, 4, 5!! Mixtape for the streets, a collaboration of new and established industry artists giving you the cutting-edge sound of Prophecy Entertainment!! Part 2 of the Street Mixtape, but you can expect nothing but the hottest sounds from Prophecy, continuation of that "Fire!" Listen to Prophecy Entertainment's Radio Show with Nick "Baby Love" on 790 WAXY AM! KAFALAI'S NEWEST ALBUM TO DATE! 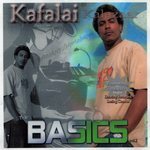 BRINGIN THE MUCH NEEDED SOUL BACK INTO MUSIC INDUSTRY, WITH KAFALAI'S REAL LIFE POINT OF VIEW! GARAUNTEED TO BE A HIPHOP CLASSIC ALBUM!!! FULL LP COMING SOON!!! YALL KNOW WHO I AM! THRU KAFALAI'S PERSERVERENCE IN THE MUSIC INDUSTRY HE EXPLAINS HIS STORY CALMLY BUT AGGRESSIVELY! NO-NONSENSE KAFALAI ON THIS ONE! Music Credits PROPHECY ENTERTAINMENT INC.LTD,CO. Publisher Credits PROPHECY UNITED MUSIC GROUP INC.
Label Credits Prophecy Entertainment Inc.
KAFALAI, BAING, AND T-DIGITALL ARE GOING INTERNATIONAL ON THIS ONE AND TAKING ALL THEIR PEOPLES AND FANS WITH THEM!! COME ALONG AND ENJOY THE RIDE!! Music Credits MR. COLLIPARK / COLLIPARK MUSIC INC.
ITS A WOMANS WORLD DESCRIBES KAFALAI IN THIS TRIBUTE TO ALL THE WOMEN OF THE WORLD!! KEEP YOUR HEAD UP!! BETTER DAYS ARE COMING! Music Credits STYLISTICS PRODUCTIONS INC.
KAFALAI TAKES YOU BACK TO A TIME WHEN EVERYTHING WAS LOVE, UNITY, FUN, & HAPPINESS! THERE WAS LOVE IN EVERY HOOD, EVERY BLOCK, EVERY PARTY, & HIPHOP AS WHOLE WAS ONE MOVEMENT!! ENJOY KAFALAI'S SOUL & LIFE!! KAFALAI'S BEEN RUNNIN THE RAILROADS AND WANTS TO TEACH YOU PERSONALLY WHAT HE LEARNED! MORPHING THRU TIME AS A SOUL FROM THE PAST KAFALAI'S BEEN PREACHING ALL THE WAY THRU TIME, NOW ITS TIME TO HEAR IT FIRST HAND! KAFALAI'S SANITY IS STAKE AND HE'S ON THE EDGE! CAN YOU HELP PULL HIM BACK BY HELPING HIM GAIN HIS SANITY? A smooth combination of Hip-Hop and R + B, "Ohh! Ahh!!" is an expression of love between two people. A simple story of two people reunited after missing each other's embrace. Kafalai speaks to the ladies in this anytime, anywhere feeling of sensuality. A smooth combination of Hip-Hop and R + B, "Ohh! Ahh!!" is an expression of love between two people. A simple story of two people reunited after missing each other's embrace. Kafalai speaks to the ladies in this anytime, anywhere feeling of sensuality. Ohh! Ahh!! features the harmonic rhythms of Tijaani, who sings the chorus. Label Credits Prophecy Entertainment, Inc. Ltd. Co.
Beautiful story blended into a combination of Hip-Hop/Classic Soul...An Timeless Piece of Work! All Lyrics written by Styles, Kafalai, Damone, and Mirage for Prophecy Entertainment, Inc. Ltd. Co.